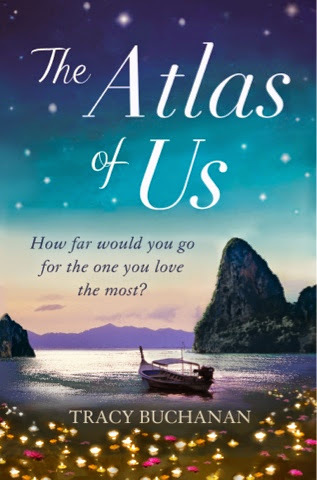 I am very lucky to be part of The Atlas of Us Blog Tour today. 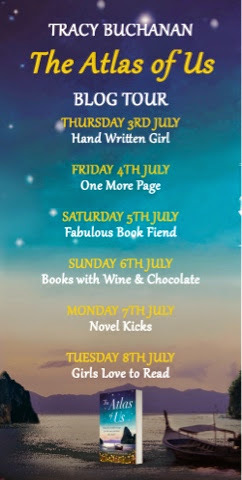 For my stop on the tour I am privileged enough to be able to bring you an extract from this anticipated summer read which is released on July 3rd! ‘Yes. I’m all my mum has. We’re veryclose.’ I don’t know why I lie. Maybe he was right. Maybe I ambloody stupid to leave the girls withtheir dad and come alone to a countrymore alien than I’ve ever known. I cansmell the foreignness in the scorchedspicy air drifting in through thewindows; see it in the wires that hangprecariously from the pylons; hear it inthe strange urgent accents of the Thaipeople outside. I feel my chest start to fill withapprehension but quickly swallow itaway. ‘Have you been putting photos ofyour mum up on the notice boards?’the woman asks. She doesn’t say why. I know whatshe means though. Strange to thinkhalf of them might be dead now,bloated corpses laid out in a templelike the very one we’re heading to now. What if Mum’s one of thosecorpses? Oh God. ‘Did you check the patient list at thehospital?’ the woman asks. I clear my throat, trying not toshow the fear building inside. ‘Yes, Idid.’ I’d gone into the hospital too,waving my mum’s photo in the facesof harassed-looking staff whose accents made my head buzz withconfusion, the phrase book I’d boughtin a hurry at the airport useless.